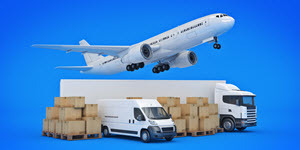 PACK & SEND are the experts in international shipping, freight and parcel services. Our expert team can provide affordable and reliable shipping solutions to and from Thailand for individuals and businesses alike. We can provide standard services but will also tailor solutions to your specific needs. This flexible approach makes us the perfect choice for anyone from businesses making repeated shipments to individuals trying to get excess baggage back home. PACK & SEND is Australia’s most trusted international air and sea freight carriers. Our team can provide a range of options for sending parcels or freight to and from locations such as Bangkok, Pattaya, Phuket or Chiang Mai. With our No Limits philosophy, no one job is too small, big, fragile or awkward. Whatever you need to ship, you can be confident in our secure, cost effective and dependable service.